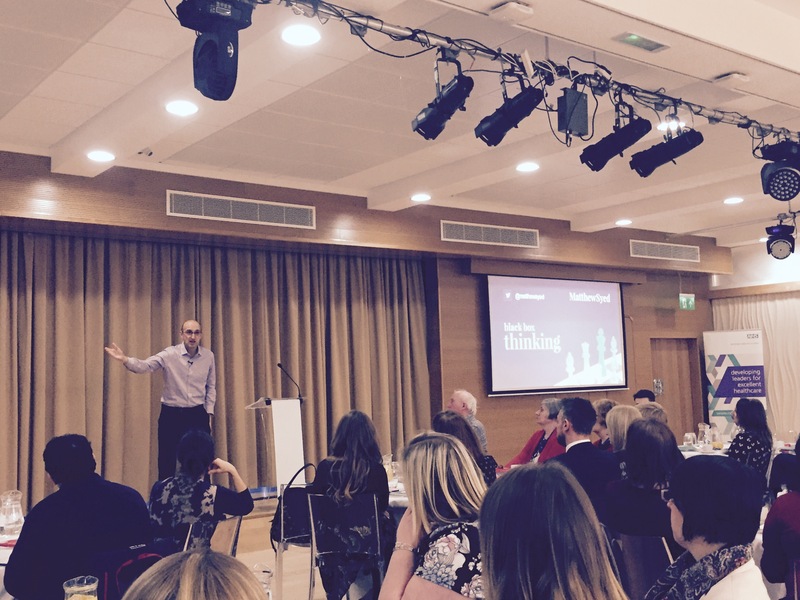 Journalist, author, Olympian and broadcaster Matthew Syed was in Newcastle to talk to the NHS North East Leadership Academy about how organisations can develop high performance by learning from mistakes and looking to make constant improvements. His new book Black Box Thinking uses the example of British cycling, which up until the turn of the century had little or no success on the international stage. The received wisdom at the time was that Britain wasn’t very good as a nation because it simply didn’t have the talent. The coaches disagreed with this and wanted to focus on continuous improvement by breaking down the entire race process into its component parts (looking at everything from bike design to sleeping patterns) and improving each one by a small amount. The idea, which is now pretty well understood, was a concept called ‘marginal gains’ which tried to make all these small advances across the board add up to a huge improvement in the overall outcome when taken as a whole. “Real high improvement isn’t about telling everybody what we already know as experts, but trying to search out what we don’t know,” explains Syed. He explained that in an increasingly complex world it’s inconceivable that anybody has all the answers and the very best organisations like Google, Mercedes, Team Sky and Pixar are able to learn directly from mistakes with remarkable results. In this complicated world healthcare is surely among the most complex subjects with the World Health Organisation listing 12,420 possible diseases or disorders, all with different protocols and treatments. When Syed juxtaposes the respective approaches of aviation and healthcare to dealing with mistakes and then learning from them it makes painful reading. Where airlines encourage disclosure and investigation of every mistake (regardless of the outcome) healthcare often explains away mistakes as ‘complications’ or simply ‘just one of those things’. He cites many reasons for this including the admission of mistakes being seen as incompetence, a rampant blame culture across our society, a fear of individuals being held responsible for systematic problems, scarce resources, growing complexity in medicine and the speed with which clinicians have to make decisions. “In aviation for every single near miss event the pilot submits a safety report, which is investigated, often in real time, to improve the overall process.